It’s becoming obvious that BMW has big plans for its Intelligent Personal Assistant since over the last few days we’ve seen a series of different ads on the new feature. Today, BMW published a few videos explaining how you can use the system and we went over them already, but this time, for the Paris Motor Show, the marketing team set up a rather interesting installation to show everyone the scope of possibilities brought along by the assistant. And they did so by using Leonardo Da Vinci’s own Mona Lisa. Anyone who wished to have a conversation with Mona Lisa could do so from 1-3 October on the square in front of the Centre Georges-Pompidou in the heart of Paris. The campaign was part of the BMW program for the Paris Motor Show. 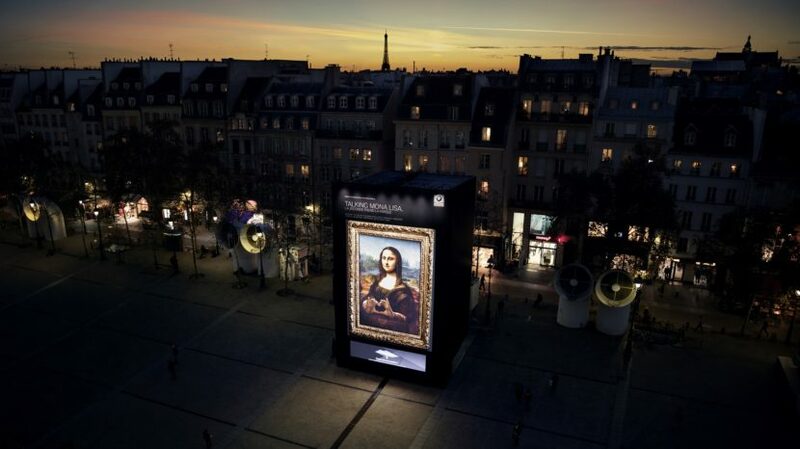 While visitors to the Louvre are often surprised by how small the Mona Lisa is in real life, the talking version was 10 meters high and 7.5 meters wide. Visitors could check out the enormous LED installation for three days in Paris. The total structure, which was unveiled on Monday after four days of construction, weighs in at 36 tonnes. Using face-tracking technology, Mona Lisa was also able to move her face and hands on the 75-square-meter LED screen and answer questions visitors speak into a microphone. The grande dame spoke fluent French, English and German. It turned out Mona Lisa is a car enthusiast and especially looking forward to the new BMW 3 Series Sedan. The live installation was accompanied by a social media campaign. 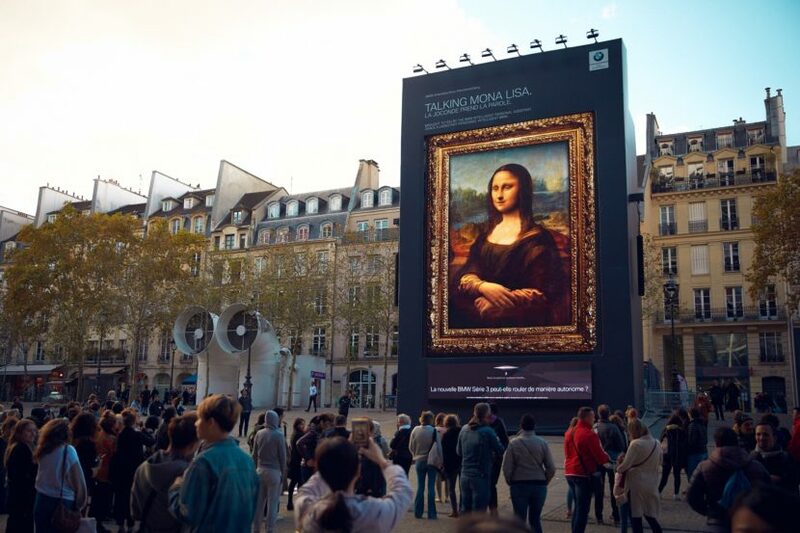 Those unable to make the trip to Paris to experience the installation could also visit BMW’s international Facebook page to ask Mona Lisa various questions and she actually answered. “The BMW Mona Lisa installation brings a world-culture icon into the 21st century and creates a platform with global reach for the BMW Intelligent Personal Assistant. The result is a clear symbol of how innovative connectivity features and voice assistants can change our world and interaction between humans and machines,” explains Stefan Ponikva, head of BMW Events and BMW Group Automotive Shows.